There is no doubt that Netflix has moved beyond the computer and laptop scene and is now set on dominating your living room, however the method of doing so has been hotly debated, until now. New reports suggest that the number one platform used to bring Netflix into the living room is the Sony PlayStation 3 video game console. According to Phil Rosenberg, a Senior VP at Sony Computer Entertainment America revealed on Wednesday that the Sony PS3 overtook all over living room platforms, including competing gaming console Xbox 360, to achieve the major milestone. Other devices, like internet connected televisions and set-top boxes were also bested by Sony’s gaming console. Netflix enjoys having a platform partner like Sony and its PlayStation 3 entertainment console likely due to its adoption of HTML5 and its robust PlayStation Network–which allows Netflix to update its app whenever it needs to, or when it would like to try out a new feature. Additionally the PS3 is the only gaming console to offer true 1080p video streaming for Netflix and the first to offer second-screen controls. 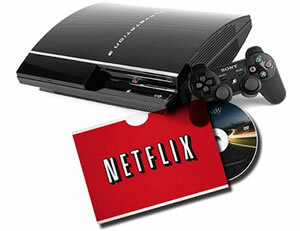 The PS3 is also the only platform that users can get a taste of the new Netflix voice user-interface called “Max” which allows subscribers to control Netflix with their voice.